Would you like a second opinion about any of your trees? 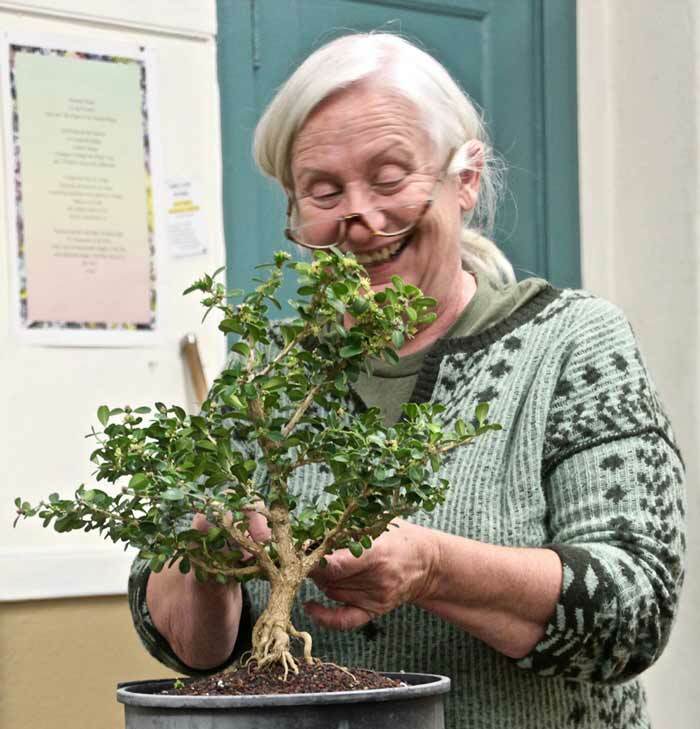 Is that a potato bonsai (pictured), cascade Joshua tree, or shohin eucalyptus something you are proud of or need help with? If so, please bring it or any other trees to our evening meeting this month. We will have a panel of “experts”–well, at least we’ll have people carefully selected from club members attending our Tuesday evening meeting to give you their opinions. Our critiques are always a lot of fun and always show that there is more than one way to prune, shape, style, and grow the same tree. Please consider bringing in at least one tree in any stage of training to share with the group. 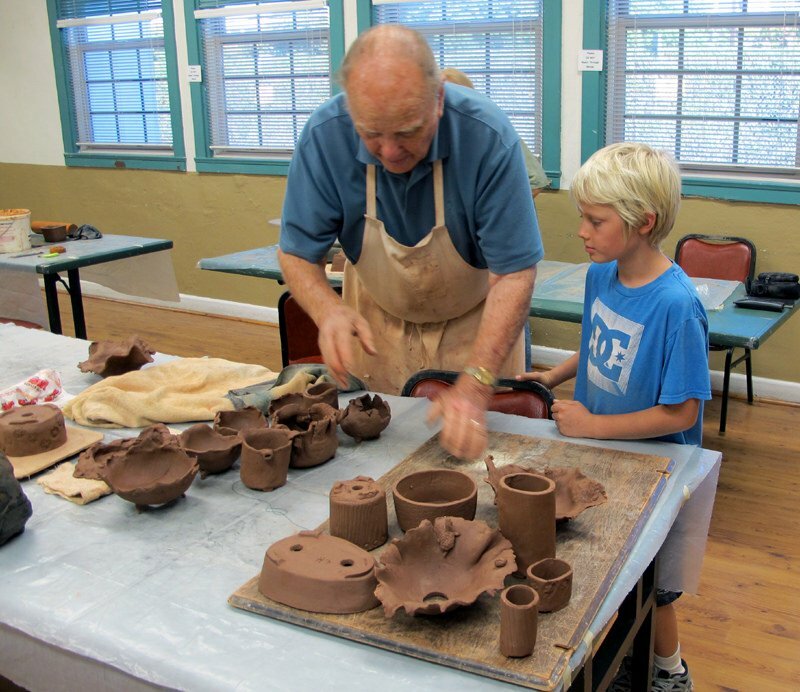 It was a most exciting pot making workshop with Jim Barrett this past month. All who attended were rewarded with several accessory pots, crafted by their own hands, which will most likely show up at our next year’s show. I’ll get those to you as soon as Jim has had time to fire them. Jim will also be our workshop instructor for our final workshop in 2014. It is a good time to be preparing for a dormant spray for your trees during the month. As your deciduous trees drop their leaves, the opportunity is great for looking at the bare branches and wiring. Careful with too much dramatic bending as the branches are more brittle this time of the year. 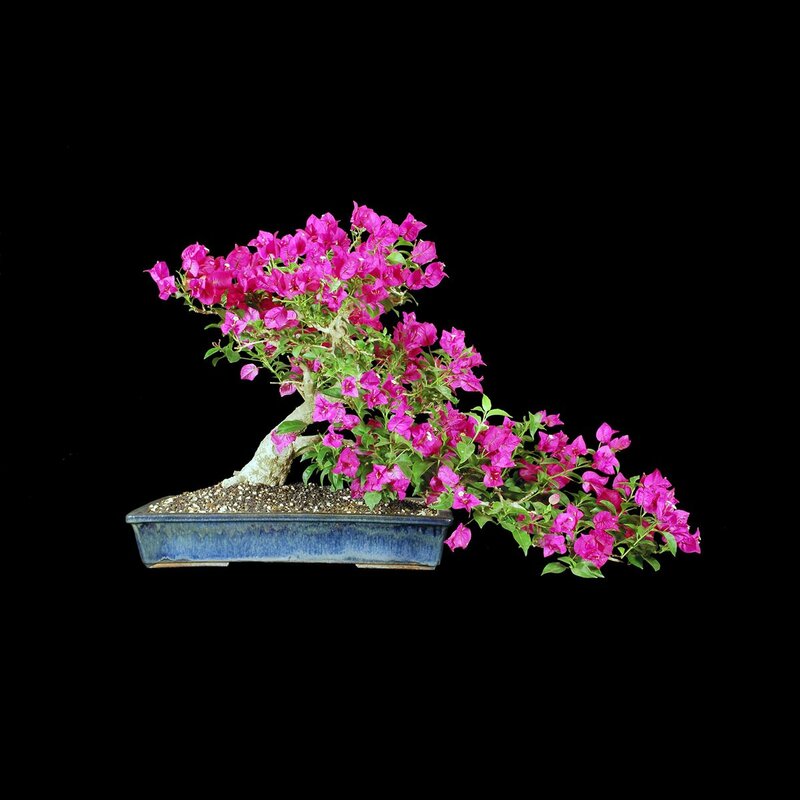 I’ve noticed several articles recently on “subtle hints” for suggesting your bonsai Christmas gifts you might wish to receive. Just an idea. If anyone would like to host the annual Christmas party, please email me. We usually do this around the first weekend in December. Hope to see everyone at the next workshop. There are many varieties of Trident Maples; if you are buying one, look for one with small leaves and nice roots but not pot bound. Plant it in almost any soil that drains well. No magic soils exist. Use whatever works for you. Jim says to defoliate in late August if you want fall color. Earlier leaf pruning is ok, too, for removing long branches and to encourage fine branching. Plant the tree in a glazed pot with a color that complements the fall color or spring green, depending on when you plan to show the tree. Tridents are tough trees. You can remove the soil in summer if the tree is healthy. They can be air layered in January or February and be rooted and ready to separate from the parent plant as early as June. Branches that you remove can be planted as cuttings any month as long as you don’t expect 100% success. 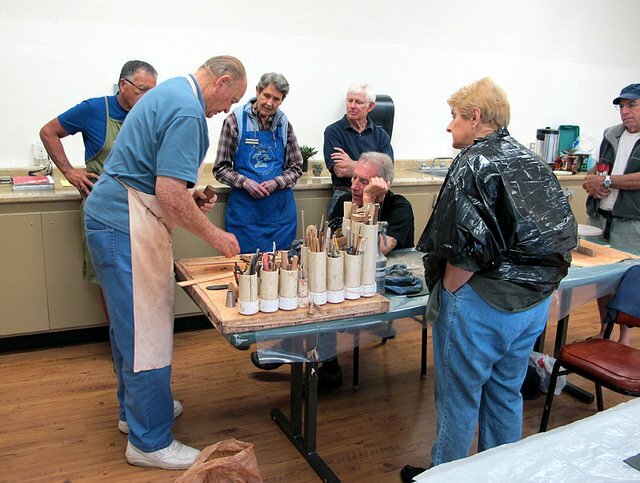 As Tom mentioned above in his President’s Message, everyone who participated in the workshop had a good time and made some surprisingly nice pots which Jim took home to glaze and fire. One of the photos shows Jim demonstrating the basics of working with the clay and tools which he brought for the group to use, and the other photo shows Tyler DeBlauw and Jim as Jim prepares the pots for transport to his home for firing. 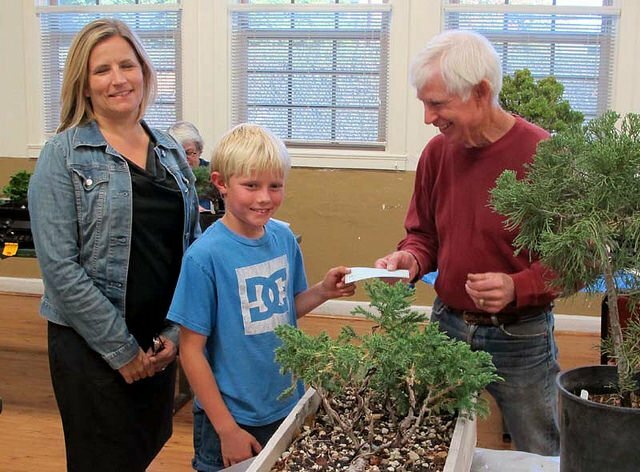 On October 12 the club once again had a small display of bonsai in the annual Asian American Neighborhood day at the Santa Barbara Presidio. Wally Kunimoto, Susanne Barrymore, and Joe Olson had trees on display. It was especially nice to see some of our club members there. 9:00 AM until noon, Room 8, Goleta Valley Community Center. Last workshop of the year. 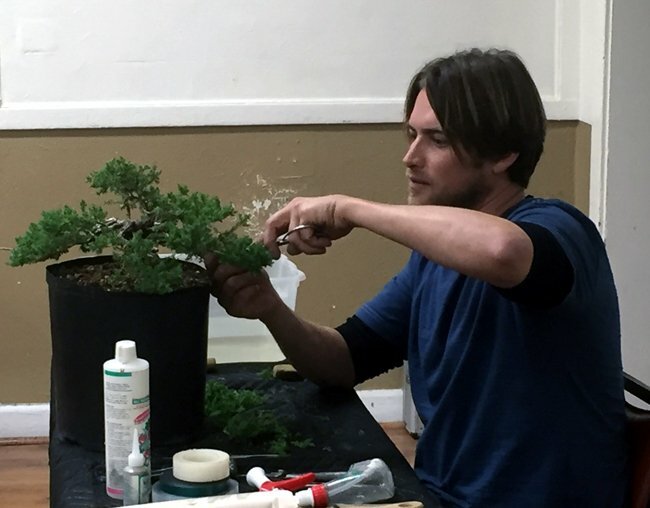 November 15: Bonsai Club Of Santa Barbara: Saturday Workshop With Guest Instructor. 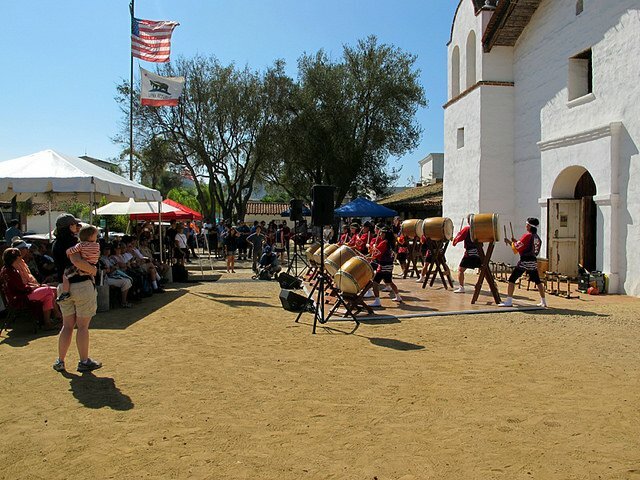 9:00 AM until noon or 1:00 to 4:00 PM., Room 7, Goleta Valley Community Center. Jim Barrett, guest instructor. Last workshop of the year. Holiday potluck and raffle. Location and date are still open. If you would be willing to host the party, please let Tom Post know at 964-2717 or tompostart@yahoo.com. No Tuesday evening meeting in December.